Solid Teens är ett pass för våra äldre barn/ungdomar mellan 11-15 år och förbereder ungdomarna för ett starkt & aktivt vuxenliv. Passen fokuserar mycket på stabilitet över leder, rörlighet, koordination, styrka, samt kondition som matchar en växande individs behov. 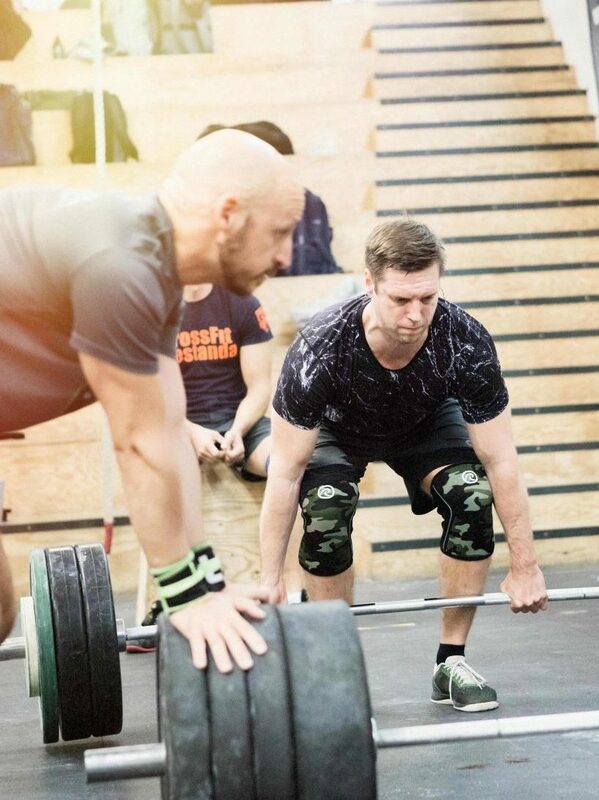 Crossfit är ett bra komplement till sedvanliga idrottsaktiviteter för att förebygga skador, bygga en bred atletisk bas och förbättra prestationsförmågan. Det är också en fantastisk gruppaktivitet för de som ännu inte hittat en idrott eller träningsform som passar dem då Solid Teens är en perfekt kombination av individuell träning i ett gruppformat! Solid Teens VT 2019 är nu fullbokad. För intresseanmälan till nästa termin, maila oss! Solid kids är en lekfull träningsform där barnen redan från start får lära in ett gott rörelsemönster för att bygga starka, friska kroppar som håller över tid. Rörelseglädjen står i centrum och passen lär på ett lekfullt sätt barnen att lyfta, hoppa, klättra, putta och dra - helt enkelt för att på ett säkert sätt få in fysisk aktivitet som ett naturligt inslag i vardagen och använda sin kropp till det den från början är till för! Solid kids är en lekfull träningsform där barnen redan från start får lära in ett gott rörelsemönster för att bygga starka, friska kroppar som håller över tid. Rörelseglädjen står i centrum och passen lär på ett lekfullt sätt barnen att lyfta, hoppa, klättra, putta och dra- helt enkelt att på ett säkert sätt få in fysisk aktivitet som ett naturligt inslag i vardagen och använda sin kropp till det den från början är till för! Solid Kids åk 3/4 VT 2019 är nu fullbokad. För intresseanmälan till nästa termin, maila oss! In a society with increasingly bad health and sick leave we see a need to bring in the joy of movement in many people's everyday lives. We therefore offer a tailor-made arrangement for you and your company so that you can both feel and perform better. We’ve seen positive health effects as well as increased team spirit within the workgroup. "There is such amazing energy at the office after our workouts. We feel excited, happy and we always look forward to our Tuesdays at Solid! Contact us for quotation and arrangement! - Do you seek help taking your team to the next level? - Do you seek diversity in your training? - Do you need to boost the team spirit? - Do you want to avoid injuries? Regardless your needs, we got the solution for you! Our staff has extensive experience within sports team training. Email us and we will design a program that fits your needs! Solid Senior is the class for you over 60 years who want to practice Crossfit, but more liw intensity. We will perform a strength circle with a lot of focus on technique and wellbeing. The goal is our health and the joy of movement! Email us if you want to try a class! Training and staying active is one thing - eating correctly is another. In todays society the average swede consumes way too much sugar, trans fats and fast carbohydrates. It results in tiredness and low energy throughout the day. Usually we tend to cure our low energy with quick fixes containing empty and nutrient-poor calories. We evaluate your current diet and present improvements that you can easily implement to reach your goals. This variant fits the self-going person who just want quick advice to change your diet for the better. With a customised diet plan we make a larger evaluation of your current diet and then produce a dieting schedule that will help you reach your goal. Regardless of the goal being sport specific performance, weight loss, recovery or just better energy throughout your day, we adapt the schedule to fit your needs. (Svenska) KICKSTARTA VÅREN MED SOLID CHANGE! Solid Change är en din chans att göra en rivstart – en kickstart mot DIN bästa hälsa någonsin! Under 8 veckor ses vi två gånger i veckan i sluten grupp där vi alla kämpar mot samma mål – En friskare & starkare kropp! Kom som du är och bli den du vill vara! Under träffarna kommer vi jobba med vår fysiska såväl som psykiska hälsa och vi kommer ge dig dem långsiktiga redskapen som hjälper dig mot ett starkare och gladare jag. 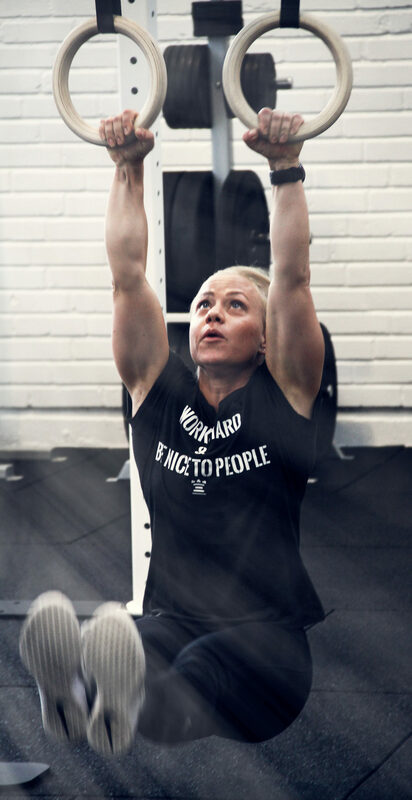 Träningen är anpassningsbar och vi jobbar utifrån grunderna i Crossfit – Bära, lyfta, böja, sträcka, putta, dra. Vi baserar många av övningarna på kroppsvikt och enklare redskap och en sak lovar vi: ALLA KAN VARA MED! • 2 pass i veckan i sluten grupp, måndagar & onsdagar kl 07-08, nästa start 25/3 2019. Vill du investera lite extra i din förändring erbjuder vi även individuellt kostschema för 50% (Ord.pris 1500:-) För bokning av detta kontaktar du oss innan uppstart. Training with a personal trainer has many advantages. One of them being able to focus entirely on yourself while your coach ensures that you train effectively and safely. Whether you want to rehabilitate, prevent injuries, learn new exercises or improve your performance, our coaches can help you. We also offer screenings to find imbalances in your body and develop exercises to help you minimise them. Please contact us it you seek advice on what solution fits you the best! We also offer monthly subscriptions at affordable prices. MamaRehab is a 10 week course for you who are pregnant or recently been pregnant and seek help getting back to training. During the first 6 weeks we focus our training on building up the inner core musculature. We will attack this theoretically and practically to gain control. During the last 4 sessions we will do more Crossfit inspired workouts focusing on building strength, mobility and coordination. Your child is welcome to join us! Personal training is perfect for those who want to invest a little bit extra in training and in achieving a healthier lifestyle. Maybe you have specific training goals and need individual coaching to reach these in a fun, safe and effective way? Our personal trainers will help you regardless of your goal. Maybe you want help developing specific skills in CrossFit, gymnastics or weightlifting? Or maybe you’ve reached a plateau in your training and need help to take it to the next level? Or do you seek help in rehabilitating your way back from an injury or recent pregnancy. The expertise of our coaches is profound and the sessions will always be individualised to fit your needs to ensure you get as much out of your training as possible. Book directly with your PT or email us for more information. Learn CrossFit from scratch in a relaxed and friendly environment. The course extends over 6 weeks. 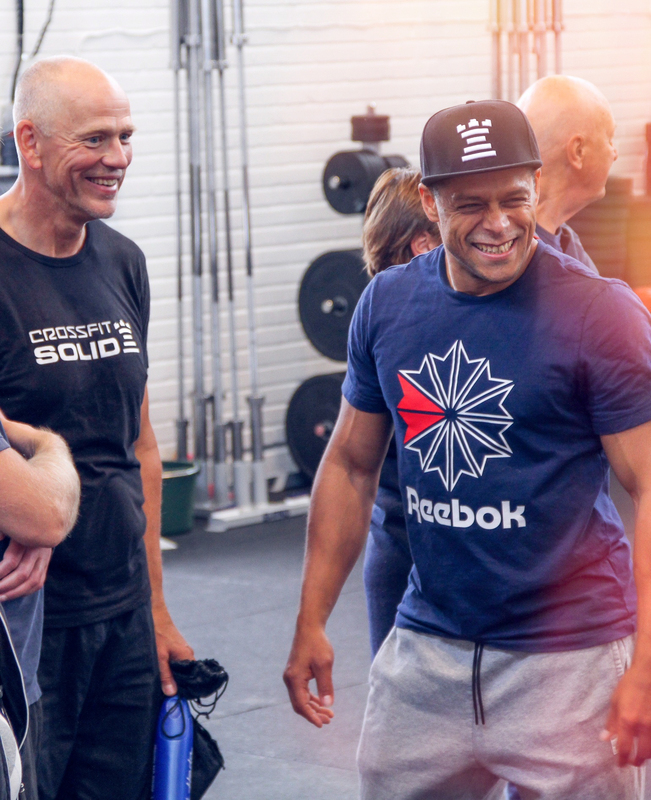 We meet up once a week at CrossFit Solid in central Stockholm mixing theory with a lot of training. Each session begins with a bit of theory to continue with some technique and to finish off with a heart elevating WOD. Session 5: Theory: Health and a long-term perspective. Technique: Gymnastics: Bar, Pull ups, TTB, Burpees. Session 6: Theory: Summary. Technique: Lunges, Single Leg exercises, Kettlebell, Double Unders. - Please note that the enrolment is binding, repayment only possible when presenting a medical certificate. We will only start the course with a minimum of 5 participants. If the course gets cancelled we will refund the course fee. Our goal is to create an accepting environment where everyone feels at home and included, where we help each other succeed and dare challenge ourselves. We want everyone, regardless of experience and/or level of ambition, to be able to train within the same group and still feel challenged. 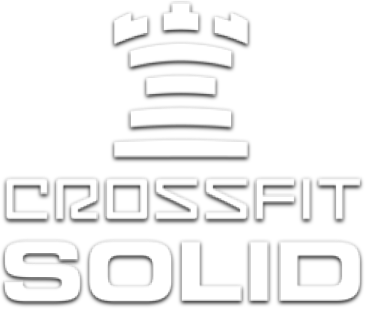 So, whether you want to train for fun or if you’re curious about CrossFit as a competitive sport, welcome to Solid! CrossFit Teens is for our older children. The semester is divided into cycles, where we start with basic movement control, building a solid foundation for the rest of the semester. Here we create basic understanding of fitness and strength training, while we give new teens a good prerequisite to jump into the group at the start of the term. The further we get the more we challenge them and before the end of the semester we "tie the bag together" and train more sport-specific against CrossFit and Functional Fitness. CrossFit Youth is our middle group. Here we combine play and collaboration with strength training, gymnastics and fitness. We introduce and practice more advanced movements from the areas of weightlifting and gymnastics. The training is structured to get a smooth transition from the kids group to the teens group. CrossFit Kids is for our youngest children. Here, the primary goal is to get a positive image for movement and the training environment. We explore movement and training through play and cooperation! 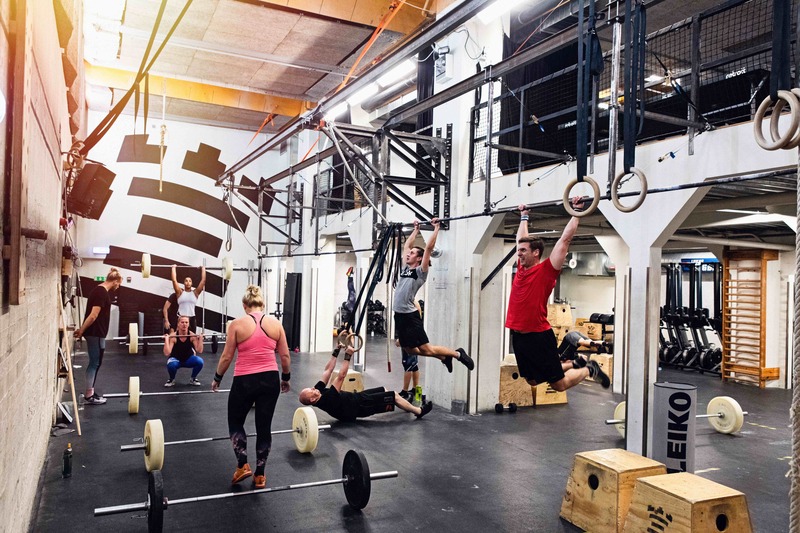 We learn to train in groups, introduce basic movements within CrossFit and gymnastics, and try to build a broad base for a future life filled with sports and training, whether this is in the form of CrossFit or other sports. Upcoming Course: VT19 is currently full - please e-mail us to get on the waiting list for information about the upcoming semester. The competition group is part of our class schedule at Solid. A more advanced class for those who wants an extra challenge and shift the focus more towards competing. We have no requirement profile to participate in the competition group more than just the ambition to compete, now or in the future! We do require the members who attend this class to have basic knowledge and experience of CrossFit movements, that you can warm up properly for the movements prior to class and that you know enough about yourself to see when and where you need to scale certain movements. Our programming is separate from the ordinary class-programming and put together to best prepare us for the competitions we collectively choose to focus on within the group. The training is ultimately for you and any suggestions you may have, we love to hear. We train twice a week, Wednesday 19:30-20:30 and Saturday 9:30-11:00. Contact us for for more info! Boost your training with individual programming to optimise your training results. No goal is too small, no dream is too big. Both the elite athlete and the beginner will get the best possible help. All programs are based on creating a stable structure and then targeting specific components to reach your goals. Our philosophy is that no detail can be overlooked if you want to achieve your goals and optimise your quality of life. Proper foundational training is therefore essential to prevent the potential risks that accompanies highly specialised training. A balanced body leads to greater potential to take on challenges and advance to the next level. We start by analysing your current state of fitness with a comprehensive testing program from which we can map your strengths and weaknesses. The programming is then created according to your physical needs and your personal ambitions. The goal is to give you the best possible training both from a physiological perspective and from a perspective that fits your lifestyle. During the time you train you can always contact us for any questions, and when the training period is completed we will continue with a new evaluation and new tests to see how you should proceed. We will help your company succeed with its health care program! We offer a tailor-made arrangement for you and your company so that you can both feel and perform better at work. Solid Senior is training for those aiming for a healthy and active lifestyle. In a relaxed environment with good company we strengthen ourselves och practice movements that will benefit you during the rest of your life! If you need a good programming for the everyday class schedule at your box please send us an e-mail and we will present what we can do for you!